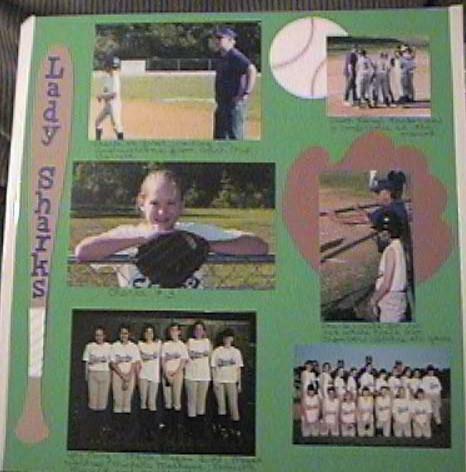 Pix of DD's middle school softball team. Cut bat and glove using template and Doodle Cutter (I love that thing!) Stickers are Little Letter (FM, I believe). Big "ball" pic was made with a puzzlemate.